It is our pleasure to announce that the International Symposium on Grid Computing (ISGC) 2008 will be held at Academia Sinica, Taipei, Taiwan from 7 to 11 April 2008. 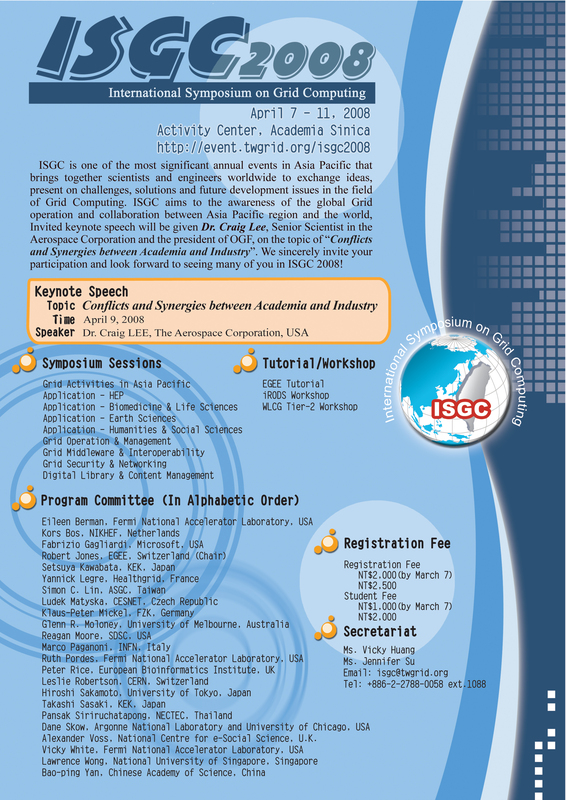 Organized by ASGC since 2002, ISGC is stepping into the 7th year of this grand event. 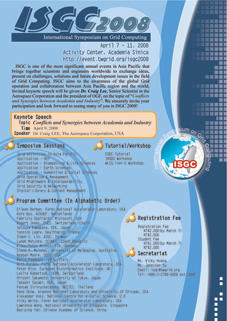 ISGC is one of the most significant annual international events in Asia Pacific region that brings together scientists and engineers worldwide to exchange ideas, to present on challenges, solutions and future development issues in the field of Grid Computing. 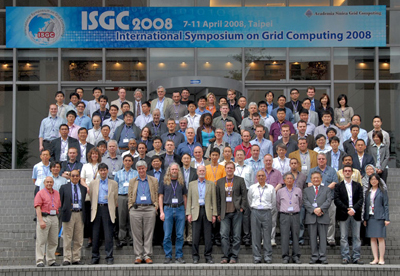 Group Photo of ISGC 2008 - please click the picture to download original file. Please feel free to download the poster below and circulate the information.